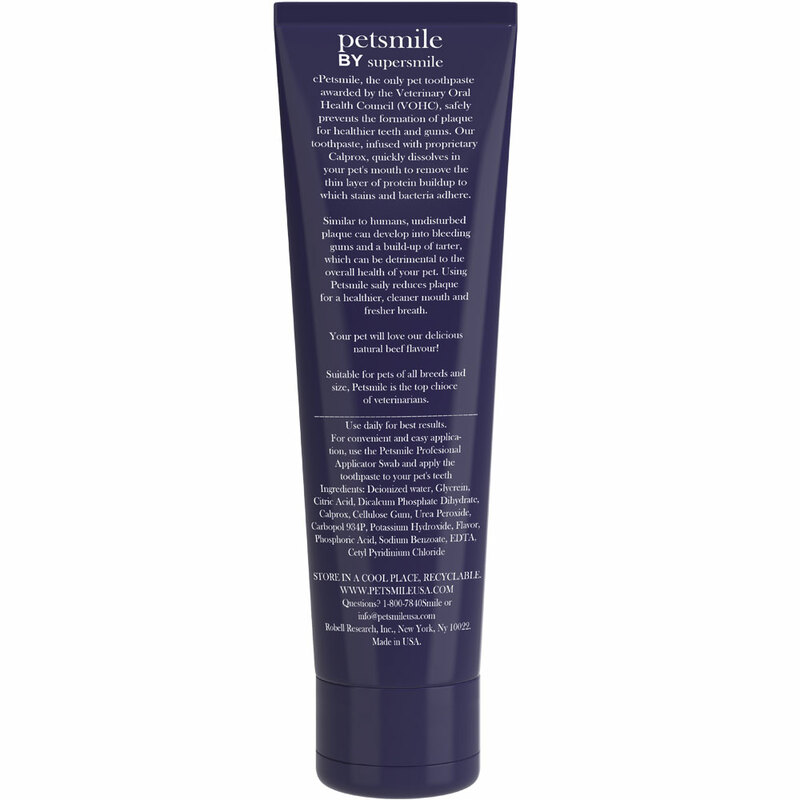 Petsmile Professional Pet Toothpaste has been clinically proven to inhibit plaque while fighting bacteria to get rid of bad breath. 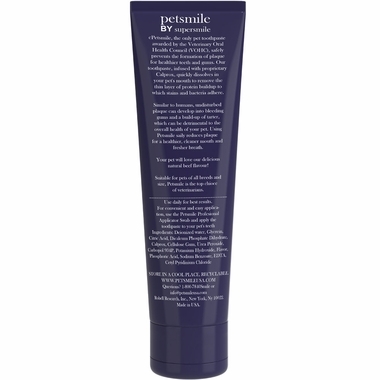 This toothpaste is approved for dogs and safe for all pets. The delicious beef flavor will entice your pet to actually love getting their teeth clean! You simply take a small amount of paste onto your finger and gently rub on your pet's teeth while their tongue does the rest--no brushing required! 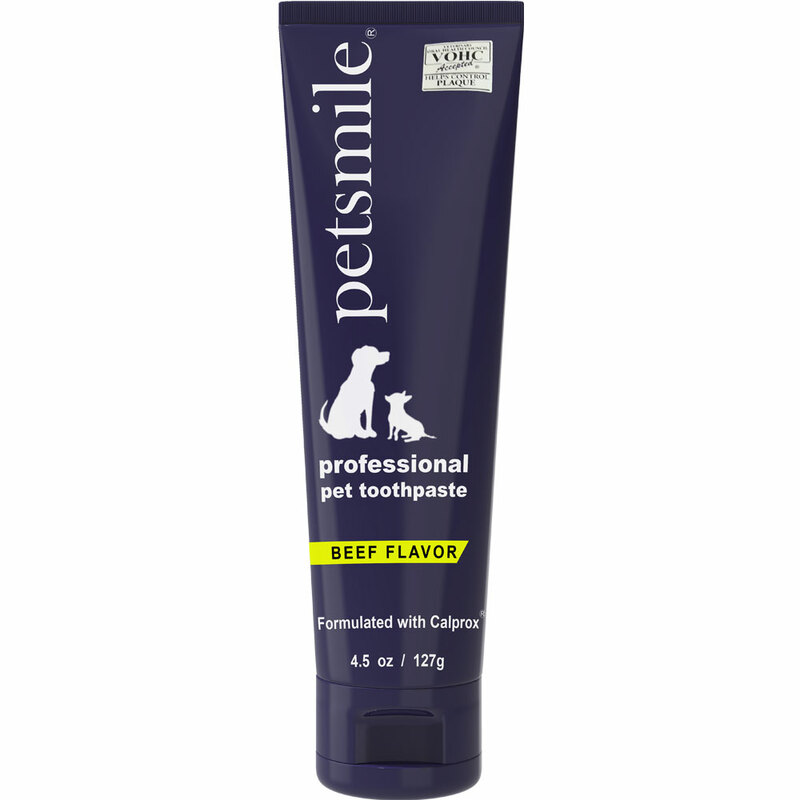 This makes it absolutely perfect to maintain your furry friend's teeth without any fuss.